Before going grocery shopping, figure out how much money you have for food, what foods you have on hand, and what is on sale. Make a menu plan for the week and write a shopping list based on your menus. With the planning done, you are now ready to shop. you are not rushed and have enough time to compare products and find bargains. you are not tired or hungry. you are alone, without children and other family members. the store is less crowded, such as mid-week, early morning or late evening. Shop no more than once a week. The more trips you make to the store, the more you spend on groceries and gas. When shopping in a supermarket, try to limit your purchases to food, unless you have extra money for non-food items (e.g. cleaning supplies, pet food, paper products, spices, birthday and party supplies). Supermarkets often price non-food household items 20-40% higher than discount stores. Rarely does one grocery store have all the best buys. Store #1 may have the lowest prices on canned foods, store #2 the best buys on meats, and store #3 the freshest vegetables and fruits. If you shop at several grocery stores, go to one store this week, and then shop for bargains at a different store next week. Buy enough of each store’s bargain items to last two or three weeks. No-frills discount and warehouse stores can be less expensive, because their cost of doing business is lower. Residents in rural communities may find that shopping in a warehouse store or wholesale club once a month saves money on staple foods that store easily and on non-food household supplies. Farmers’ markets and co-ops can help families reduce food costs, although their selection of products may be more limited than in most supermarkets. Bulk foods can be lower in price than similar foods sold in packages, and you can buy just the amount you need. Food prices in convenience stores are almost always higher, with the possible exception of items like dairy products and sodas. Although prices vary considerably, grocery items also are sold at health food stores, some drugstores, department stores, specialty stores, and restaurants. It is a waste of your time, energy and gasoline to shop at several stores within the same week just to pick up their specials. Besides, some stores will match advertised prices or honor coupons from other stores. Wherever you shop, handle the merchandise with care and respect to help keep overhead down and food prices under control. Time is Money: The more time you spend in the grocery store, the more money you spend! The Food Marketing Institute estimates that shoppers spend $2.17 per minute in the store. Therefore, the most efficient way to shop is at one nearby store that has reasonable prices. By shopping at the same store, you learn their floor plan and can shop faster. Stick to your shopping list, which is based on your week’s menus. Organize your list according to the store layout or by food type and department (e.g. meats, canned foods and dairy products). This saves time, keeps you from forgetting items, and reduces temptation to buy foods not on the list. Go up one aisle and down another so you don’t have to backtrack and won’t miss any specials or needed items. Only go down the aisles that contain items on your list. Buy on Sale: Unplanned purchases usually are budget wreckers. The only time to go off the shopping list is when you can get a good buy, such as a store sale or a double coupon offer. Use in-store flyers to find items on sale. Check the flyer when you enter the grocery store. Stock up on sale items that you use regularly and shelf-stable items that you have space to store. A sale is easy to spot if you know every day prices of items you buy on a regular basis. If you can’t remember, take a “cheat sheet” listing the prices you usually pay. Pack a small calculator to compare prices quickly. If 4 cans of green beans are on sale for $3.00, the cost is 75¢ per can. Another brand may be only 69¢ per can. “Buy one, get one free” is not a bargain if the cost of the first item is more than a comparable brand. You don’t always have to buy two items to get the savings on “two for the price of one” sales, so buy two only if you need them. If you can use them in a timely manner, stock up on sale items and your store’s weekly “loss-leaders.” These are low-priced items that get you in the store so you buy other higher priced items. Different sections of the store are featured each week. Beware of big displays and fancy ads. An item on a promotional table or in a bin is not always cheaper than a similar product at regular price. End of aisle displays attract your attention, although the prices are not always reduced. Sale items often are placed at the rear of the store so you have to walk past all the higher-priced items to get to the sale items. Avoid buying sample foods. Samples that are being handed out free to customers are often expensive convenience foods. Buy larger sizes of staple foods if they are on sale, you have available storage space, and you have enough money in your food budget. Find the best buy in the size package you can use before it becomes stale or outdated. Buy only the amount you can use, or get large amounts and split the food and the cost with a friend. Select food in the form that best fits your needs. Use chunky tuna instead of the more expensive solid-pack tuna to make a casserole, or make a congealed salad with canned “broken pieces” of peaches rather than sliced peaches. Use pineapple chunks and diced tomatoes instead of pricey pineapple rings and whole tomatoes when possible. If the store is out of a sale item, ask for a “rain check.” This is the store’s promise to sell you the item at the sale price when more come in. Store Discount Cards: In every supermarket where you shop, ask if you need to sign up for a store discount card to have instant access to sales. Cardholders usually are offered in-store discounts and may get extra coupons printed on the back of store receipts. In some stores you can earn purchase points toward a reward (e.g. Thanksgiving turkey). Coupons: The Sunday inserts in your local paper usually have $50 to $75 worth of coupons. If you use coupons, you can save at least 10 to 15 percent on your grocery bill, according to the January 2009 issue of the Supermarket Savvy newsletter. Using coupons for coffee, cereals, prepared foods, flour and flour mix products adds up to about a 10 percent savings. Use coupons only for foods you normally buy and if a cheaper store brand is not available. If possible, shop on double or triple coupon days to stretch the value of coupons. Most coupons are good for at least three months, so you can use them during categorical sales, which are rotated on about a 12-week (three months) cycle. Find out each store’s rules for using coupons, and don’t rely on cashiers to know. Ask whether a store honors coupons from other stores or matches advertised prices. If you have access to a computer, print off coupons from Web sites of products you use and of stores where you shop. Join an internet coupon group and exchange coupons. Remember to mail in coupons for manufacturers’ rebates and refunds. Organize your coupons, circle the expiration dates, and use them before they expire. If it’s too difficult for you to be a serious “couponer,” then buy items that are on sale. Look at the back of your grocery receipt. Sometimes it contains great coupons for future purchases. Also, find out if the store gives rebates for recycling or offers easy ways to go green. Convenience Foods: These can increase your food bill and your waistline. You can buy a lot of nutritious carrots, apples, bananas and potatoes for the price of a large bag of chips and box of cookies. Don’t pay for convenience foods. Save money on groceries by taking a few minutes to do some of the work yourself. Look up a recipe for pasta salad and make your own rather than buy the pasta meal kit. Make your own iced tea, wash your own lettuce, peel your own carrots and chop your own onions. Make your own “ready-to-eat” and convenience foods. Convenience foods are products like fancy baked goods, frozen meals, and vegetables with seasoning and sauces. The same foods made from scratch at home may contain less fat, sugar and salt. To save money and be healthier, select nutritious treats like nuts, sunflower seeds and dried or fresh fruit. Skip the junk food aisle and pass up “empty calorie” foods (e.g. chips, candies and soft drinks). Sweets, chips and sodas are very expensive, and they don’t contribute any real nutritional value to your diet. Buy large containers of applesauce, yogurt, cereal and snacks and transfer individual servings into reusable containers or zip lock bags for bagged lunches and snacks. Those 100-calorie packs of crackers, chips, etc. cost an estimated 20% to 100% more than the regular-size packages. Avoid foods that are packaged together (e.g. cheese and crackers, meat and cheese trays, and frozen garlic cheese bread) when you can buy the items separately for less. However, when your schedule is hectic, labor-saving and step-saving ingredients often are worth the extra cost. Look High & Look Low: You may have to do a little bending and stretching to find bargains. More expensive items are at “eye-level.” Store brands that may be cheaper and just as good are often placed higher or lower on the grocery shelves. Items that the store most wants to sell are located on the shelves between knee-height and shoulder-height. The highest markup items are at about chest level, making them easy to grab and toss in the cart. Sweet cereals are placed at children’s eye levels. Lower-priced items are on the bottom shelves. Buy Store & Generic Brands: National brands usually cost more due to advertising costs. Many store brands are from the same processors as the national brands and sell for a lower price while matching the national brand’s quality. They often are less expensive than name brands bought with a coupon. The only way to know if a certain product will work at your house is to try it. Compare Unit Prices: Similar foods may be packaged in different-size containers, making it hard to compare prices. The quick, easy way to find the best buy is to check the unit price of an item, and then choose the food that has the lowest price per unit. However, if the store does not provide the unit price, then calculate the old fashioned way by dividing the price by the weight of the item. This is an example of a unit price label, which is located below a product on a grocery store shelf. Unit price helps you compare national brands with store and generic brands, which almost always cost less than national brands and usually taste as good. It is also a handy tool for comparing different forms of the same food (e.g. canned, frozen and fresh) and different package sizes of the same brand (e.g. economy-size, regular-size, single-serve and bulk). Figure the unit pricing for ready-to-eat breakfast cereal a different way. One cup is a serving size for most cereals, so compare the price per cup rather than the cost per ounce as indicated by the unit price on the shelves of many stores. The Nutrition Facts label lists the number of servings per box. Buy in Bulk: Pay for the food, not the package. Bulk items usually cost less, because you don’t pay for packaging and handling. About 90 percent or more of the cost of a food item may be just for the package. This includes the packaging for advertised brands, individually packaged foods, canned foods and convenience foods. Large containers do not always cost less than small ones. Since stores know that shoppers may want to buy in bulk, they sometimes mix it up by pricing the bulk item to cost more. The only way to know for sure is to check the unit price. If your store doesn’t provide the unit price label on the shelf, then use your calculator to figure it out for yourself. Check Food Labels: The label is the “window” to the product and is the most accurate way to know what you are actually buying. It includes: the common name of the item; the amount of contents in the package; an ingredient list; nutrition labeling, and the name and address of the manufacturer, processor or distributors. In addition, many labels include safety guidelines, preparation tips and freshness dating. The Nutrition Facts label helps you find the most nutrition for your food dollar and plan healthy meals. It tells you how many servings are in the container and how many calories are in a serving. Use the % Daily Value to compare amounts of nutrients in foods. Identify nutrient-dense foods that contain more fiber, vitamins and minerals but contain low amounts of saturated fat, trans fat, cholesterol, sugar and sodium. Less than five percent of the DV is considered low, and 20 percent or higher DV is considered high. Read the ingredients label. Ingredients are listed from “most” to “least,” or in order of their predominance by weight. If water is the first ingredient and sugar is the second, you know the item is mostly water and sugar and contains very little, if any, nutrients. Appearance can be misleading, so check the quantity or amount of the contents. (e.g. How many ounces are in the bag?) Items that are packaged in individual servings are usually more expensive. Check Expiration Dates: Buy foods at their peak. The freshest foods last longer. To identify the freshest foods at the market, check the dating information (e.g. “sell by” and “best used by” dates) stamped on the label. Most perishable items (e.g. milk, cheese, packaged meats, and other refrigerated items) have a “sell by” or “pull by” date. This is the last date the product should be sold. If you store them properly, they will stay fresh and safe for a few days after this date. Products that are reaching their “sell by” dates are often reduced in price (e.g. overripe bananas or meats that has turned dark). These are good buys only if you can use them before they spoil. “Best used by” or “freshness” dates are stamped on products like bakery good and packages cereals. After this date, the food may lose some freshness and nutritional value. Products such as yeast and refrigerated dough have a “use by” or “expiration” date that is the last date it should be eaten or used. Canned goods and other foods that can be kept a long time have a “pack” date, or the date it was manufactured, processed and packaged. 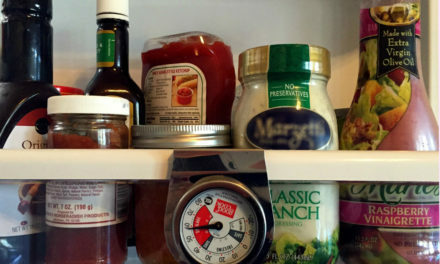 Go through kitchen cabinets regularly to make sure that canned and packaged foods are used before their expiration dates. Shop the Store’s Perimeter: Grocery stores are designed to encourage shoppers to spend money. Try to stick to the outer perimeter, or edges, of the grocery store. Fresh produce, meats, dairy, breads and healthier, less processed foods usually are found in this area. Keep foods safe by shopping for cold items last. Don’t go down every aisle, especially the “empty calorie aisles.” This reduces the temptation to buy foods that are not on your list, and it also saves time. The inner aisles contain items such as: baking ingredients; ethnic foods; beverages; seasonings and convenience foods. Use USDA’s MyPyramid to Choose Foods: The food groups in MyPyramid are: grains; vegetables; fruits; milk, meat and beans. For more information, refer to www.mypyramid.gov. Follow these guidelines to find the most nutrient-dense, economical foods from each group. Breads & Grains: For nutrition, fiber and variety at a low cost, choose more brown rice, whole-grain and whole-wheat breads, cereals, pastas and other grain products. Select white bread and rolls that are made from enriched flour. Plain breads and cereals are usually less expensive than fancy varieties. Skip the quick-cooking and pre-seasoned varieties of rice, oatmeal and grits. Cooking regular varieties saves money, sugar and calories. “Day old” bread costs less but is still nutritious. Small households may buy small loaves of bread or wrap and freeze what isn’t used right away. Vegetables & Fruits: Fresh produce varies more in price than food in other forms. Generally in-season vegetables and fruits are fresher and cost less. Ask the store’s produce manager for delivery days so you can get your favorite items at their freshest. Always check fresh vegetables and fruits carefully to make sure they are in top shape with no bruising, wilting, etc. When possible shop for locally grown produce at farmers’ markets and small food stores. Buy a head of lettuce and wash it instead of buying pre-bagged lettuce or salad mixes. These are usually more expensive and spoil faster than salads you make from scratch. Compare the cost per edible measure of fresh versus frozen, canned, dehydrated, and partly or completely prepared. Fresh produce may require extra preparation time, and there may be some waste (e.g. corn shucks). 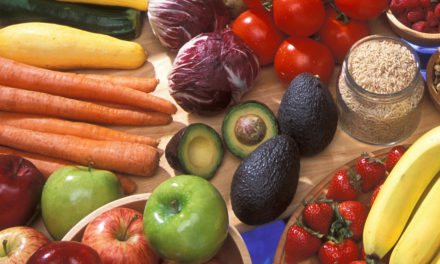 Smaller-sized fruits and vegetables may be cheaper than larger ones. If fresh vegetables and fruits are out of season and cost too much, then buy frozen vegetables and fruits. They are picked when fully ripe and quickly frozen, which preserves their nutrition and flavor. Canned and frozen vegetables and fruits are healthy, will last longer, and are a smart choice all year long. Avoid items with added salt or sugars, and choose those canned in water or in their own juice rather than in heavy syrup. Do not buy dented or bulging cans and jars with bulging or cracked lids. Buy large bags of frozen vegetables. To reduce waste, take out only what you need, close the bag tightly, and quickly return the rest to the freezer. Foods at salad bars can be expensive. However, it could save you money if you need only a small amount of a vegetable and it reduces the amount you waste. Milk: Choose low-fat milk and milk products. (However, children under two years of age should drink only whole milk.) Non-fat dry milk is the least expensive form of milk. It can replace the more expensive regular milk for cooking. Place the box of powdered milk inside a large freezer bag and store it in the freezer. Evaporated skim milk also is inexpensive and especially good in cooking. When using instant non-fat dry milk as a beverage, mix it and chill thoroughly for several hours for better taste. Or, mix an equal amount of regular milk with non-fat dry milk made by the directions. Buy fresh, low-fat or skim milk in the largest size you can use before it spoils, because larger containers usually cost less than smaller sizes. Ultra-pasteurized milk has a longer expiration date and won’t spoil as fast. To ensure quality, dairy products are required to carry an open, shelf removal date, although items are usually still usable for a short time following their shelf-removal date. Unless you plan to use an item immediately, look for a date that is as distant as possible. Select perishable dairy products last so they stay cold in your cart. Meat & Beans: Peanut butter, dried beans and peas are good sources of protein and fiber, and they last a long time without spoiling. Eggs, turkey and chicken are usually economical choices, especially if you buy whole chickens and cut them up yourself. Fish is a good protein source that is usually low in fat, particularly saturated fat. Since meat is the most expensive item on the plate, look for ways to save money on it. Hamburger is often a good buy in red meats. Stretch meats by using them in sauces or casseroles. Tenderize less expensive cuts of meat by marinating or slow cooking. Less expensive meats are good in stew, soup and stir fry and are just as nutritious. Look for special sales at the meat counter. Find out what day and time of day your store reduces meat prices for quick sale, and shop at that time. Ask the butcher to run cheaper, tougher cuts of meat through the tenderizer. Request that they mark down a package that has a “sell-by” date today. Buy in large bulk packages and freeze portions you don’t use right away. Put raw meat in a plastic bag and keep it separate from other foods in the cart. Lower-fat cuts of beef usually have “round” or “loin” in the name, and leaner cuts of pork or lamb contain the words “loin” or “leg.” Try chuck or bottom round roast, which is cheaper and has less fat than sirloin. To make these meats tender, cover and cook them longer. Compare the cost per serving, not cost per pound, of various cuts and types of meats. Ground turkey and beef have 4 servings per pound, but spare ribs have only 1½ serving. Bones and fat cost a lot of money. Reduce portion sizes. A moderate-size portion is 3 ounces of cooked meat. Try alternative protein sources, such as beans, soy, tofu, cheese and eggs. Ignore Magazines, Candy & Soda Displays: These are the store’s last attempts to get you to spend money. Resist the urge to buy a magazine, and read or check one out from the public library instead. If you ate the recommended healthy snack before shopping, you can resist buying a candy bar. Be Ready to Check out: Save time by having your money, check or credit card ready. Unload items with prices up and with multiple-priced items together. Shopping with a partner allows one person to unload and the other to watch items get scanned. A product gets scanned twice. The sale price of an item hasn’t been entered into the computer. An item you thought was on sale was only out of place, so it rings up at regular price. The checker enters the wrong code for a produce item they don’t recognize. Some stores give you the item for free when they ring up the wrong price. Ask if your store does this. Make sure your change is correct, also. Use itemized food receipts to track food costs. If you buy nonfood items at the grocery store, separate them from food items when checking out. This makes it easy to divide your bill to find out what you actually spent on food. Remember that non-food items may be cheaper at a discount store. Bag Grocery Items Correctly: Make sure that all your groceries get put into your bag or cart and that breakable and crushable items are bagged correctly. Ask that cold foods be bagged together so you can spot them easily and unpack them first when you get home. Pack vegetables, fruits and eggs on top or in separate bags. Put cold and frozen foods in your shopping cart last. This includes items such as: frozen vegetables; meats; dairy products; eggs and salad bar ingredients. Ask if your grocery store gives a discount for bringing your own bag. If so, you’ll save the planet and your money! Protect the quality and safety of the food you purchased. Place fragile foods (e.g. fresh produce and eggs) so they will not be bruised or crushed. Carry food home as quickly as possible, especially in warm weather. Make sure frozen foods don’t thaw, and keep cool any other highly perishable foods (e.g. meats, milk and eggs). Keep perishables out of direct sunlight or a hot trunk. It’s a good idea to have a cooler in your vehicle for keeping perishable foods safe on the way home, especially in warm weather. On cold winter days don’t leave fragile produce in the car and allow it to freeze. 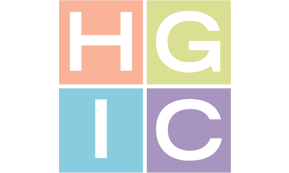 To learn more about saving money on food, refer to HGIC 4220, Stretch Your Food Dollars Part 1: Before Going to the Store and HGIC 4222, Stretch Your Food Dollars Part 3: At Home.